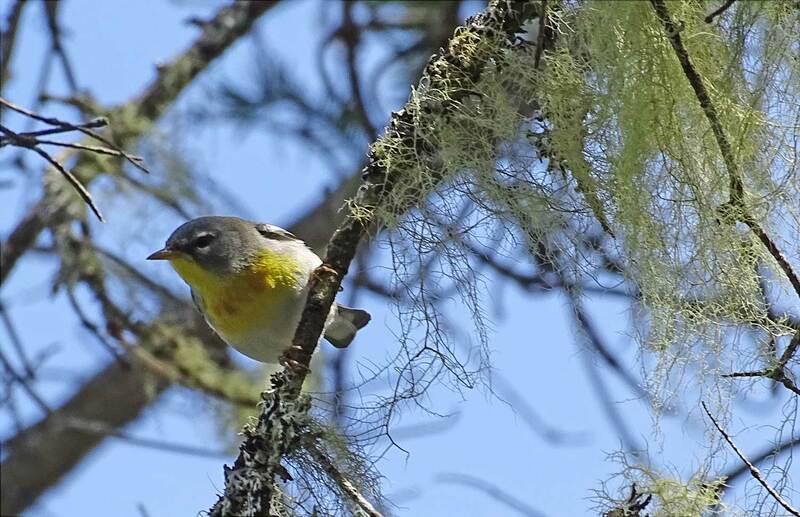 Northern Parula amongst old fir by Gays River, May 19. It builds a nest out of bearded lichen (shown at top right). Why, Crossland asks in OPINION: Slaying songbirds for woodchips (Chronicle Herald, Jul 21, 2017), do we allow such obvious destruction to wildlife habitat? I was delighted to be able to photograph a Northern Parula amongst its preferred nesting materials – bearded lichen – on intervale (floodplain) forest by Gays River yesterday. The intervale at the site we visited is dominated by fir, tamarack, black spruce, black cherry and white ash, interrupted here and there by open wetland meadows and alder swamp. There were some of the biggest fir trees I have ever seen, the largest close to 1/2 m dbh, and there were lots of snags and downed trees (coarse woody debris) of all species. The snags has been well used by woodpeckers. The patch by the river but not the whole “stand” (one of NSDNR’s polygons) which includes upland forest, would surely qualify as Old Growth. 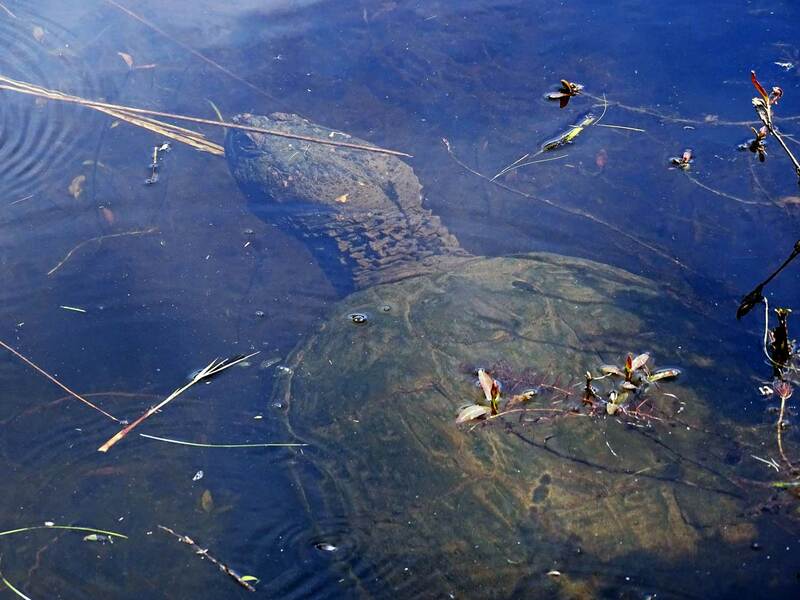 A half dozen ospreys and four bald eagles made regular appearances overhead, and we observed a very large snapping turtle (carapace approx 1.5 ft) and several painted turtles in a backwater of the river. 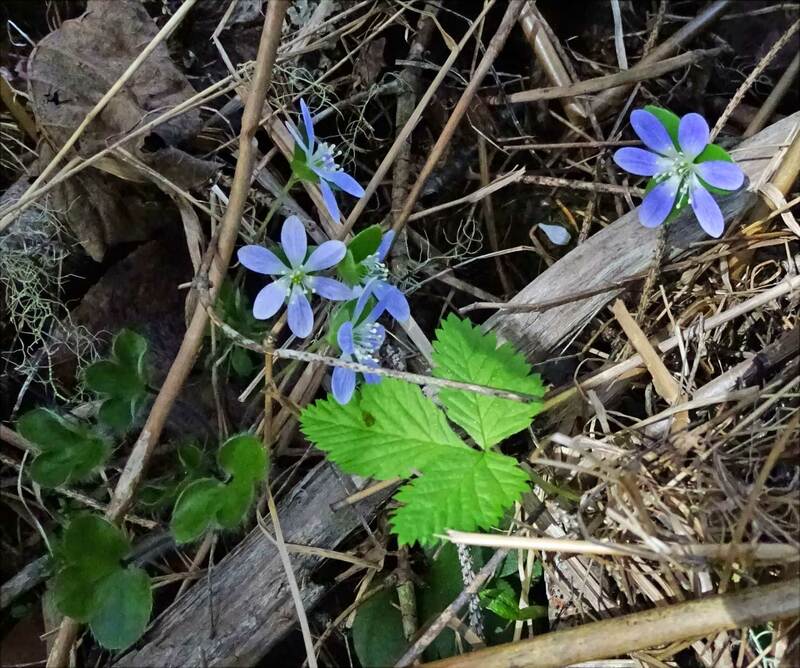 We also found what we had gone there to look for: small patches of round-lobed hepatica (Hepatica nobilis), a plant labelled as “May-be-at-risk” by ACCDC. There were some markers placed there about 20 years ago; I think the site has been known for 30+ years. So their continued presence is another sign of relative stability and health of this piece of intervale forest. I am guessing that these patches of old forest had not been cut because of their proximity to the river. (There had been cutting further back.) So, even though on private land, these patches of old forest could remain as relatively secure habitat for the Northern Parula and Hepatica well into the future. I say “could” because the patches are small and easily lost by other acts of man or god. For now, I just want to celebrate their continued existence. 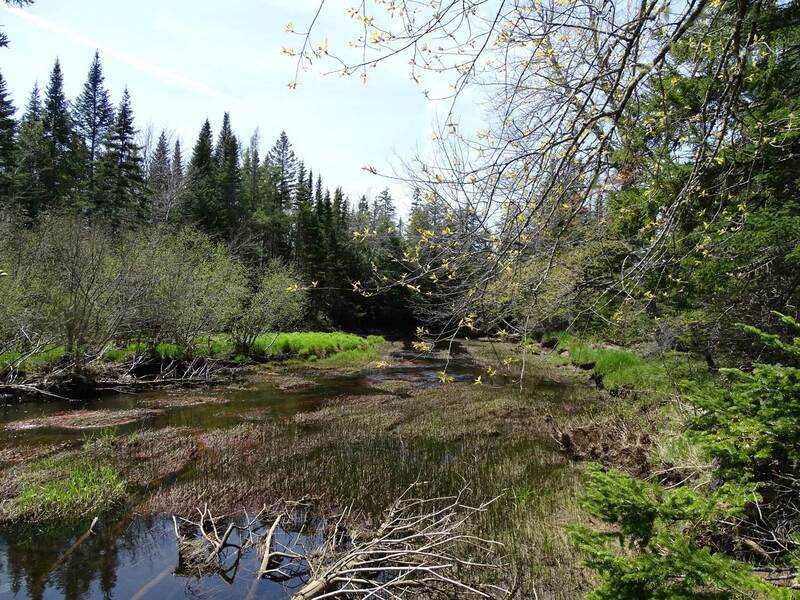 Floodplain or “intervale” forests “contain the highest species diversity of any Forest Group in Nova Scotia” (NSDNR ). Periodic flooding creates ephemeral channels and levees which, although relatively small, can remain active for a time after a flooding event. Inactive channels may form ox-bow topography with rich soils, with associated herbs such as bloodroot, ostrich fern and meadow rue. The richness promotes growth of some of our rarest herbs such as Canada lily, blue cohosh and wild leek. The richness of riparian forest is also reflected in the number of wildlife species that spend at least part of their lives in these areas. They are important nesting areas for reptiles such as wood turtles and many warbler species, and feeding areas for kingfishers, great blue herons, woodpeckers and otters, among a host of other wildlife. Vernal pools may also be present, attracting a host of amphibian species such as wood frogs, red efts and blue-spotted salamanders. During and after flood events, floodplains can be temporary habitat for fish. The rich diversity of riparian forests is reflected in the number of wildlife species that spend at least part of their lives in these areas. Nova Scotia’s floodplain forests can be described as “remnant” because probably less than 5% of the pre-Columbian floodplain forests remain. The first European settlers liked to settle or graze their cattle on floodplain land. We also dyked the floodplains, dammed rivers and continue to build on floodplains, although there is a move away from that because of floods. Unlike the Gays River site, hardwoods usually predominate on our floodplain forests. Thx to CC for sharing this site with me. 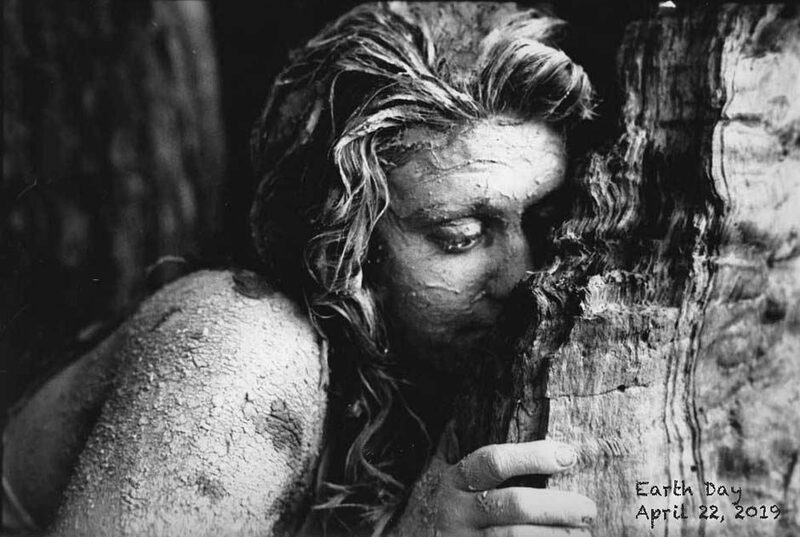 This entry was posted in Biophilia, Conservation, Old Growth. Bookmark the permalink.